The WB33 incorporates many useful features of a larger automatic scrubbers yet retains the ease of use and maneuverability found in smaller portable units. Perfect for use in small warehouses, healthcare, retail and office buildings, the WB33 strikes the balance between power and affordability. Available with U-Turn™ technology, the WB33 steel-frame chassis is topped by a rotationally molded polyethylene body which resists scuffing and denting. The dual 11" brushes are powered by a single 1/2hp motor and is complemented by a 1/2hp 2 stage filter protected vacuum motor. The rotating squeegee ensures a dry cleaning path and efficient solution pickup. The WB33 will operate for up to 2.5 hours on a single battery change and is engineered for ease of use and long component life. 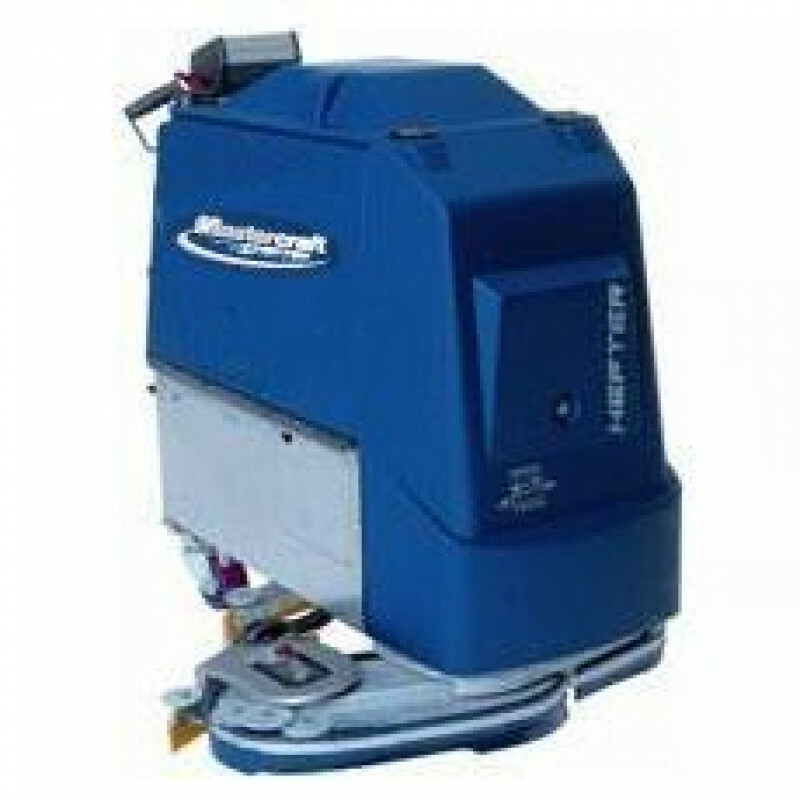 Check out our complete line of walk behind floor scrubbers for other options including more Mastercraft wide area floor machines. You're sure to find just the right machine for your floor scrubbing job with us! Maneuverability - Patented Varex™ Variable Width Technology. Simplicity - Easy to use and simple to operate. Quality - Stainless steel chassis. Control - Retractable scrubbing wings are adjustable to clean in narrow passages and open areas. Comfort - Ergonomic control elements and design. Complete - Cleans underneath shelves and around corners. Easy - Simple human-engineered controls. Industrial - Round-the-clock cleaning thanks to the integrated battery quick-change system.